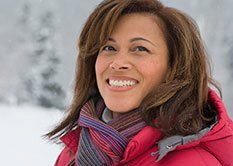 If you are missing one or more permanent teeth, Dr. Lockwood may recommend dental implants in Kenai, . A dental implant is made up of a titanium implant post and a dental restoration. The dental implant post is surgically placed in the jawbone, where it acts as replacement tooth roots. The dental restoration, which can be a dental crown, a dental bridge, or dentures, is attached to the top of the implant post. Dental implants look and feel like your natural teeth, so they restore the beauty and functionality of your smile. They are designed to fuse with your jawbone, so they become a permanent part of your smile. 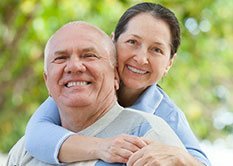 Dental implants are durable and will last for many years, or even a lifetime. Unlike dental bridges, dental implants do not require tooth structure removal. Because of this, your long-term oral health is improved. Dentures can slip in the mouth, causing you to mumble or slur your words when you speak. Because dental implants are a permanent part of your smile, they function like your natural teeth. You will be able to speak with ease. Slipping dentures can also make eating difficult. Dental implants allow you to eat your favorite foods with confidence. 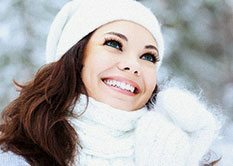 Feel free to contact Kenai Dental Clinic today to learn more and to schedule your next appointment with our dentist.